Alzheimer's Care in Round Rock: When is it Time? If your loved one in Round Rock has been diagnosed with Alzheimer’s disease, your mind may be spinning with questions and concerns while also processing the emotions that come with hearing this news. At Visiting Angels® Georgetown, we know how difficult this time can be for families, and we’re here to help as you make decisions regarding your loved one’s care. We offer supportive Alzheimer’s care services that assist elderly adults throughout the Round Rock area, including those living in Cedar Park, Austin, Briarcliff, Georgetown, and Pflugerville. Our compassionate caregivers help seniors as they cope with the challenging symptoms of this disease and make aging in place a reality. If you’re unsure what steps to take next to arrange for your loved one’s care, read on for our advice. Your loved one is having trouble getting around. Mobility issues can prevent your loved one from being able to complete basic day-to-day activities like bathing, toileting, grooming, getting dressed, and taking care of housekeeping. Your loved one is missing medication dosages or appointments. One of the most challenging symptoms of Alzheimer’s disease is memory impairment, which can have ramifications for many aspects of life. If memory loss has your loved one struggling to keep up with his or her medication schedule or doctors’ appointments, a care provider can step in with crucial reminders when necessary. Your loved one has taken to wandering off. Wandering is common among elderly adults with Alzheimer’s, and it can be incredibly dangerous. If your loved one has started wandering, it’s critical that he or she has constant supervision. You’re feeling stressed and overwhelmed. A professional care provider can give you respite and relief from your duties as a family caregiver. Not only will you have more time to engage in self-care, you’ll also have peace of mind that your loved one is receiving high-quality care. Learn more about the benefits of helping your loved one get started with a professional caregiver. 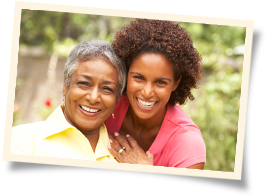 Call Visiting Angels Georgetown today to set up a free Alzheimer's care consultation in Round Rock, Cedar Park, Pflugerville, or a town in the surrounding areas.